Each year, thousands of gardeners pay to have their yard waste hauled to a landfill, and then, in spring, they buy a fresh supply of compost. Why? We just spent the summer growing our own ingredients to make one of the best, free soil amendments possible. Composting is the process of turning organic matter into humus. Compost helps improve the soil structure by providing good aeration, moisture-holding capacity and better tilth. In fact, the recommendation to improve any soil, whether clay (which won’t drain) or sand (which drains too fast), is to add organic matter. It takes four elements to produce compost: nitrogen (greens), carbon (browns), water and oxygen. When you combine these in the right proportions, you get heat and voilà! Compost happens. Keep in mind that the word “greens” does not refer to color, but instead to something that is high in protein and therefore a good source of nitrogen. Grass clippings, coffee grounds, vegetative kitchen scraps, weeds (without seed heads) and manure from grass-eating animals are all great greens. “Browns” are high in carbohydrates, thus an organic source of carbon. Carbon has the added benefit of absorbing offensive odors and preventing the organic nitrogen from escaping through evaporation. Leaves, straw, shredded paper and sawdust make good browns. Rain and supplemental watering during dry times add the compost’s water requirement. Oxygen, of course, comes from the air. As the pile starts decomposing and settling, you can speed up the process by turning it occasionally to get oxygen back into the middle. The smaller the pieces going into a pile, the faster it will turn into compost. Few people have room to store a chipper/shredder, but most of us have lawn mowers. Mowing your leaves in the fall before collecting them works fine. Once you start composting, you will soon discover that greens are abundant in spring and summer, but browns are scarcer until autumn when the trees shed their leaves. No problem. Collect the leaves in the fall and store them until spring. Storing greens doesn’t work because they start to stink, and lose their beneficial moisture and some of their nitrogen punch very fast. As far as location, don’t overdo it. 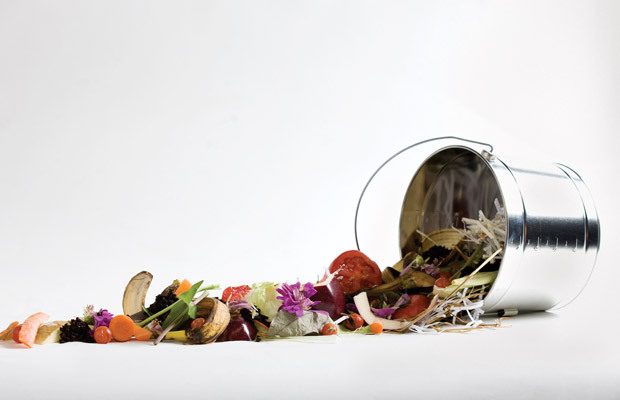 Your compost can be as simple as a pile of ingredients on the ground. If you live in a windy area, you can contain it with a wire enclosure or bins made from old wooden pallets. Either way, it’s an easy way to create your own compost – with the items you already have. Tips for growing an eco-friendly garden, including natural pest control, using rain barrels and composting.